The Fremont River in Utah flows from the Johnson Valley Reservoir, which is located on the Wasatch Plateau near Fish Lake, southeast through Capitol Reef National Park to the Muddy ... moreCreek near Hanksville where the two rivers combine to form the Dirty Devil River, a tributary of the Colorado River. (1) The section upstream from Mill Meadow Reservoir contains an excellent population of wild brown trout. 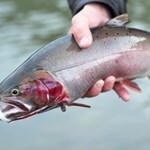 Splake, tiger, and rainbow trout are stocked in Mill Meadow and Forsyth reservoirs and can enter the river from the reservoirs. An occasional brook trout can also turn up. 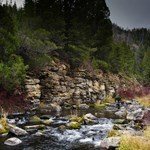 There are about 3.5 miles of fish-able water in this area on Forest Service land, upstream to Mamoit Spring. Above the spring the stream is much smaller and becomes de-watered directly below Johnson Reservoir in the winter when the outlet gates on the dam are shut. 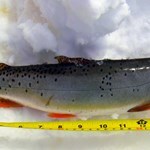 Most of the resident trout are under 15 inches, but some much larger fall spawning brown trout can move upstream out of Mill Meadow Reservoir. Also, the stream can be turbid in late summer when water is being released from Johnson Reservoir, but clears up at the end of the irrigation season. (2) The river is completely de-watered below Mill Meadow Reservoir downstream to the Bicknell Bottoms. Numerous springs provide perennial flows in the Bicknell Bottoms, where State Wildlife Resources property includes the Kay E Bullock Waterfowl Management Area. Because of the springs, this area is a cold water marsh with some decent trout habitat in some areas. Fishing is allowed in the Waterfowl Management Area, but hiking through much of the marsh can be treacherous because of soft mud and dense cattails. 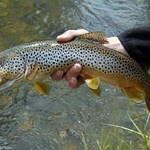 Although there are some good-sized trout, the Bicknell Bottoms is not a typical trout stream and it is difficult to fish. (3) Downstream from the Bicknell Bottoms the river enters a canyon and flows for about eight miles on private land from the Old Mill to the town of Torrey. 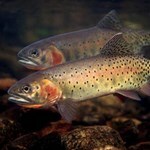 The river contains decent numbers of rainbow and brown trout but permission must be obtained before fishing. 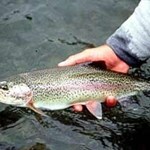 Fishing guides and a local private ranch have provided services for fishermen. (4) Further downstream, river access is available south of Torrey on SR 12. 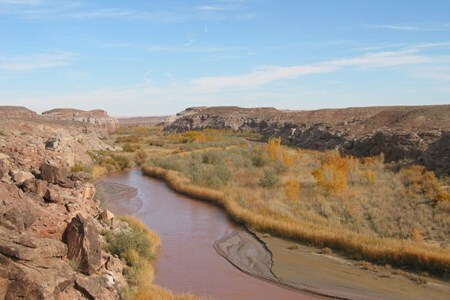 Here, the river can be fished downstream in a roadless canyon for about nine miles into Capitol Reef National Park. About two-thirds of this section is within the National Park. 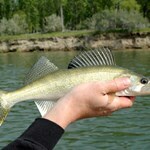 The river is often turbid, but can be excellent fishing when clear. 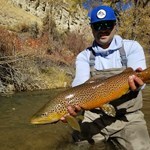 The trout population can change from year to year depending on flash floods, but some big brown trout have been taken from this part of the river. Because of declining water quality, the trout population comes to an end at the confluence with Sulphur Creek near the park visitor center. 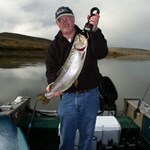 Other nearby fisheries include Fish Lake, Johnson Reservoir, Mill Meadow Reservoir, Forsyth Reservoir, Sevenmile Creek, UM Creek, Pine Creek, Thousand Lake Mountain and Boulder Mountain. 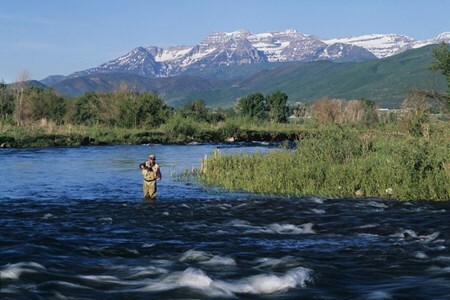 The Ogden River, a tributary of the Weber River, begins in the Wasatch Range from where it runs for 35-miles. The Ogden River's three forks converge at Pineview Reservoir, near Huntsville. 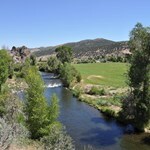 ... moreThe river then flows southwest through Ogden Canyon, Ogden City, and the border of West Haven and Marriott-Slaterville where it joins the Weber River. The South Fork of the Ogden River between Causey and Pineview reservoirs (about 10 miles) is a scenic river with good public access and stretches of private land. 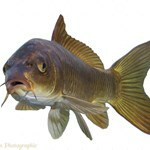 This means you should pay close attention to signs and ask for permission before fishing on private property. The Odgen’s South Fork drops from 5,500 feet to 4,900 feet at the downstream end. 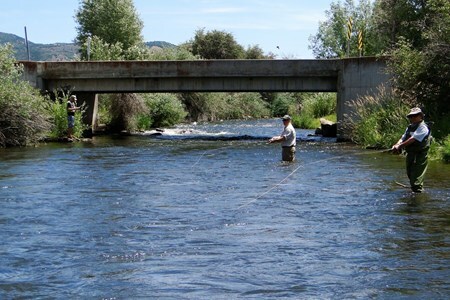 This section of the South Fork is a serene 15-30 feet wide and provides anglers with great opportunity to catch native Bonneville cutthroat trout, brown trout, and mountain whitefish. The depth here is variable; ranging from less than one foot in shallow riffles up to 3 to 4 feet in deeper pools and runs. Fuel, restaurants, and grocery stores can all be found in the nearby towns of Huntsville and Eden. If you decided to fish the stretch of Odgen River below the convergence of its three forks, you might as well stay in Odgen. As you head out, take Hwy 39 in Ogden (12th Street) and travel east. The river runs along the Highway which makes 7 miles upstream easily accessible. 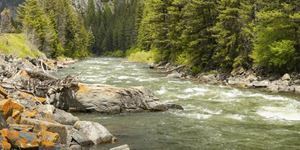 Visitors that journeying up this narrow canyon find at an elevation of 4,400 to 4,900 feet both excellent fishing and alpine beauty all around them. 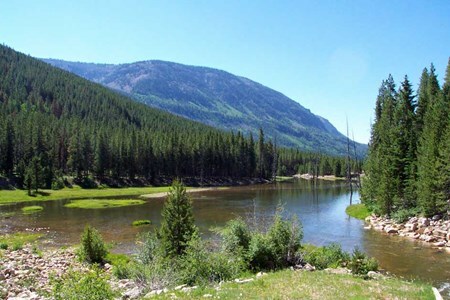 The Ogden River Scenic Byway SR-39 climbs through the Wasatch-Cache National Forest to crystal clear Pineview Reservoir, about six miles east of the mouth of the canyon. 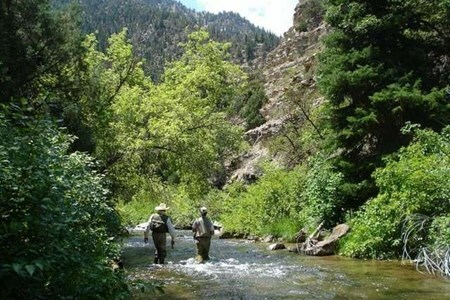 Close proximity to Ogden, UT makes this Blue Ribbon water convenient for anglers looking for robust trout populations in a beautiful setting. 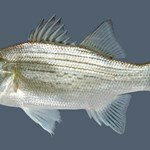 Remember, this is a whirling disease positive water and anglers should take care to clean and dry their equipment before moving to other waters. From Salt Lake City take I-15 N for 33.6 miles. Take exit 341 onto UT-79 E/31st Street. Follow UT-79 E/31st Street for 1.2 miles. Turn left onto US-89 N/South Washington Blvd. Travel on South Washington Blvd. for 2.5 miles. Turn right onto E 1200 S Street/12th Street. Follow 12th Street for 1.2 miles. Continue straight onto UT-39 E/Canyon Road. Follow UT-39 for 20.3 miles toward the town of Huntsville. 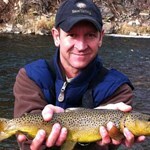 Get up to date information on fishing conditions in Utah. 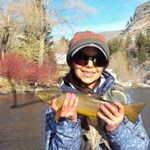 Learn about water flows, fish species, and current weather. 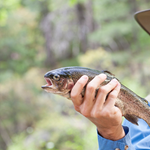 Download maps and locate fishing access sites in Utah. 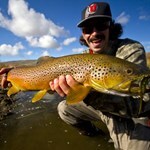 Discover the best guided fly fishing trips in Utah. 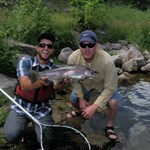 Plan a Utah fishing trip today.